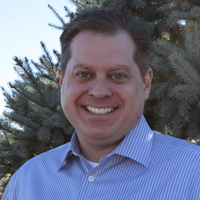 Fort Collins, CO – July 17, 2018 — RLE Technologies, a leading provider of raised floor and airflow products, web-based monitoring solutions, and leak detection systems for mission-critical facilities, announced today that it has promoted Tim Hirschenhofer to Senior Vice President of Operations. Tim’s background includes supporting organizations in a technical manner, with a focus on manufacturing processes and end user technical assistance. His previous experience includes production process engineering for the high tech computer industry, developing and improving products supporting the manufacturing and inspection of semiconductors, and implementing ISO manufacturing standards. Tim has spent the last 12 years of his career supporting product development and engineering projects related to efficiency improvements in data centers. He brings a wealth of knowledge related to the data center industry and the critical aspect of product performance in this environment. Tim will take a very active role in capacity planning, vendor relationships, cost containment, and efficiency gains, as well as strategic growth for the future. A testament to his foresight, Tim’s leadership has already guided RLE through a $500,000 investment in automation equipment which increases production capacity by 300% – containing labor costs while increasing production capabilities. For more than 30 years, RLE Technologies has designed, engineered, and manufactured innovative technologies that support our overarching company mission: to prevent disasters, preserve our customers’ reputations, and provide customers with valuable peace of mind. Deployed in data centers and critical facilities worldwide, our portfolio includes: Triad raised floor and airflow products, SeaHawk leak detection, Falcon monitoring equipment, Raptor integration solutions, and RLE Services which offers system startup, commissioning, and product training services. Clients worldwide rely on RLE’s patented products to detect threats, notify stakeholders, and mitigate risks to critical sensitive environments, and with over 16,000,000 feet of patented leak detection cable in service worldwide, RLE is a proven industry leader in the facility monitoring arena. RLE products are proudly manufactured in the USA.